If you have been searching for the most reliable and experienced web and SEO agency in Bangladesh, you need look no further as iNext Web and SEO is here to help you meet all your web and SEO needs to grow your online business and rank higher on search results. It is not just about ranking your site for SEO. We help you do thorough keyword research to help you know what is hot in your industry and what people in your niche come online looking for. Also, we ensure you understand the importance of having fresh and factual content on your site and blog at all times to keep the traffic coming. If you need expertly crafted articles on relevant topics, the best SEO agency in Bangladesh is here to help. What most online merchants fail to understand is that it does not end with writing blog posts every day. If what you post on your blog or site is not helping your visitors gain new knowledge on topics they are passionate about, your regular posts will hardly make any meaningful difference. As the best SEO agency in Bangladesh, we make sure your site is designed with the aim of optimizing it for search engines. And with most web users relying on their mobile devices to access the internet, we do not ignore the importance of making your site as mobile-friendly as possible. This is one way we can ensure that anyone who wants to access your site from anywhere and with any device can gain access without experiencing any difficulties. We also make sure your interface is easy to navigate and your site pages fast to load which ensures no site visitor is frustrated into leaving your site for other sites as a result of site navigation hassles and very low loading speed. One thing you can be sure of when you hire the best web and SEO agency in Bangladesh is that you will have your site ranking high on most popular search engines like Google and your site designed to meet all modern search engine and human standards. 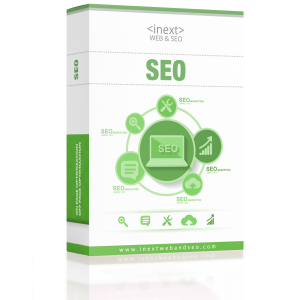 At iNext web and SEO solutions, we are committed to helping your business stand all above your competitors. Click here to start now! Follow our Facebook and Google Business!